What Else Can I Expect From an Online Master's in Psychology Program? What Can You Do With a Master's Degree in Psychology? Psychologists study and observe various emotional, social, and cognitive behaviors exhibited by individuals and groups in different settings. A bachelor's degree in psychology is an important first step toward pursuing a career in this richly rewarding field, but a master's degree is considered the minimum credential for most positions. An online master's in psychology can help you advance your career in psychology and prepare you for doctoral studies. Web-based programs are delivered in a flexible format that ensures you'll be able to work throughout your master's program. If you have completed a bachelor's degree in psychology and wish to continue your education, then you may be a strong candidate for an online master's in psychology degree program. Our comprehensive guide will teach you more about what you can do with a master's degree in psychology and what kind of career opportunities you can pursue upon graduation. Choosing an master's in psychology program is a very personal decision, and only you can properly evaluate whether a school's strengths match your educational and professional ambitions. 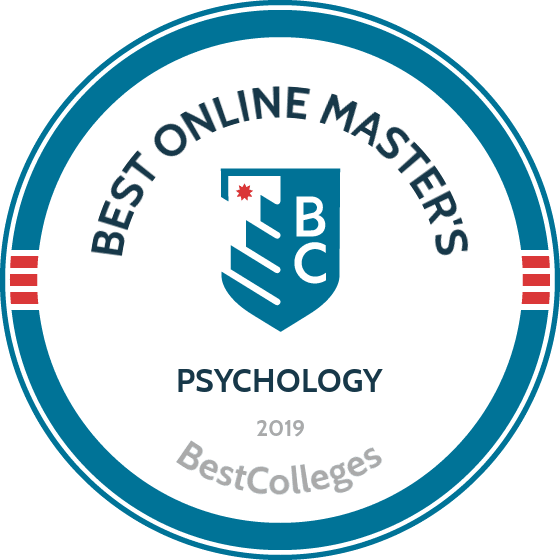 The following ranked list of schools should serve as a helpful starting point in your search for the best psychology master's programs offered online in the United States. If you are considering an online master's in psychology, be sure to contact admissions specialists at each school under consideration to learn more about their specific requirements and offerings. Troy Dvorak holds a master's in psychology and has been an instructor at Minneapolis Community & Technical College since 2005. Prior to that, he worked as a psychometrist, providing psychological assessment and counseling services to kids, teens, and families for seven years. Why did you initially decide to pursue psychology? I was always curious about mental health, or lack thereof, with people around me. In my first year at Lakehead University, I really enjoyed my general psych class and knew that was the direction for me. Once I was a psych major, I knew I made a good decision: Helping others seemed a great way to spend a career. It was not until I was in grad school, however, that I began to really know who I wanted to work with. From undergraduate volunteer experience, I knew I did not want to work in a psychiatric facility (because work with inpatients felt like it was just medical maintenance as opposed to insight and progress). Over time, I chose to work with children, teens, and families. Children and teens are capable of remarkable insight, especially when supported by a loving family that is also willing to make change. What led you to switch from psychometrics to teaching? I was born in Minneapolis but moved to Canada when I was six. At the age of 32 -- and because I had family in the Twin Cities -- I decided to leave my job as a psychometrist and return to the Minneapolis area. Becoming a licensed clinician would have taken me about a year and I needed work right away. I was able to get some classes at community colleges and slowly started to build a reputation as a good teacher. Over the years, my adjunct role offered the equivalent of full-time employment so I simply never pursed licensure as a clinician. As of 2017, I became tenured at Minneapolis Community & Technical College. Having assumed roles in both clinical and academic settings, what do you find most fulfilling about each? Most challenging? As cliche as it is, a day spent helping others is a day well-spent. Whether as a clinician or teacher, assisting others is very fulfilling. As a clinician, helping people overcome psychological and social difficulties was always gratifying. As a teacher, the thing I enjoy most is the diverse student population I have the privilege to serve. The class discussions and myriad viewpoints make teaching psychology a ton of fun. The most difficult thing about both clinical work and teaching is seeing someone with amazing potential get sidelined by things beyond their control. A prime example of that is the caustic influence of poverty. However, where there are significant barriers, there is the concomitant potential for exceptional transformation. What advice would you give to undergrad students who are considering a graduate degree in psychology? Is a master's worth it? Without question, if you are going into psychology, know you are in it for the long haul. Get a Ph.D. Do not stop at a master's. Even though my degree has served me well, the profession is set up for Ph.D.'s. The other thing I would tell students is that psychology is a fantastic career because there are so many things you can do with your doctorate in psych. There is no shortage of work in our field. What additional advice would you give to prospective students considering a career in psychology? Every class matters. All your grades matter. Taking things seriously and devoting time to reading and studying is essential, not optional. Go to office hours and really get to know your professors. Ask questions in class. Engage with others. Keep an open mind -- remember that your perspective is only one of billions. You do not have to know exactly what field of psychology you're going to pursue when you start college. You will have a couple years to sort that out. 1. How to establish and maintain appropriate personal boundaries. If you don't have them, you will burn out. 2. You must engage in self-care. Deal with the thing staring back at you in the mirror before you try to help others. Jeni Woodfin is a licensed private practice marriage and family therapist in San Jose, CA. She serves as the clinical director of a residential substance abuse treatment center. She specializes in supporting women and men considering or recovering from separation or divorce, couples interested in infidelity recovery, and those struggling with addiction or codependency. Jeni obtained her bachelor's degree in psychology from Marian College in Indianapolis and her master's from John F. Kennedy University. She completed a fellowship through the San Francisco Center for Psychoanalysis sponsored by Stanford University. Why did you choose a degree in psychology over similar degrees that prepare you for clinical practice (e.g., a degree in counseling or social work)? What, specifically, does a counseling psychology degree offer? Prior to starting graduate school, I knew my goal was to create a private practice that centered on supporting high-functioning individuals and couples who are interested in changing longtime wounds and patterns. My understanding at the time was that a degree in social work would most likely lead to working in an agency setting that was not conducive to providing "real" therapy, but mostly case management. Now, having known many social workers, I realize they also are able to work in private practices offering psychotherapy. However, social workers tend to be trained in a "systems" approach, i.e. how is the client affected by all the factors of their environment, whereas a counseling psychology degree looks more at the individual's experience of their environment and more psychological theory. This foundational difference in how to conceptualize lead me to pick a counseling psychology master's. What were some of the most crucial skills you gained throughout your master's program? Were most of these skills learned in class or through internships? The most valuable skill, and one I believe I continue to develop during my career, is to meet the client where they're at. Learning to let go of your own agenda, preferences, biases, and values while in session is crucial to allowing yourself to be open to your client's experience. This openness is what allows your client to feel accepted enough to bring all the bits and pieces of themselves into the therapy. For me, this openness allows clients to have a reparative experience in a relationship. This skill was drilled into our heads as students in grad school, but until you're in the room with clients you can't begin to feel it. So, the concept was taught in class, but the practice began during my internship, in the room with clients. What was the job search like after completing your degree? Did you feel fully prepared to make the transition from school into practice? I began my job search prior to graduation and found it fairly painless. I was fortunate enough to have been working at a group practice during grad school as an administrator, but also interviewed at a few local county-funded agencies. I found each agency interview experience to be similar: usually a group interview, with questions regarding my theoretical orientation, populations of interest, and vignettes. In the end, I was offered every job I applied for and found each agency eager to hire new interns. At the beginning of my internship, I was nervous! I experienced a healthy dose of imposter syndrome that (I believe) I was able to mask, except in supervision. For the most part, I felt prepared to make the leap from student to intern, although I clearly remember sitting in a particularly difficult session one day, early in my internship, and [catching] myself thinking about my client, "You need to see a therapist," then realizing with a massive feeling of anxiety, "I AM the therapist." What are some of the greatest day-to-day challenges you face in your practice? The challenges in a sole clinician private practice are a little different from those in a group practice or agency. One of the challenges I find myself very aware of is loneliness. It sounds a little strange to be lonely after sitting with people all day, but it's a very one-sided relationship with clients. I've found it important to have other therapists to meet for coffee, meet during classes, and attend consultation with in order to prevent feeling too isolated. A second challenge is the stress of how unpredictable your income can be. Marketing yourself is a large part of having your own private practice, but even the best marketers can have slow times. Your clients will all go on vacation over the summer, want to take holiday weeks off, or magically all be cured at the same time! Being aware that you may need to plan for the ebbs and flows of income can help. What advice would you give to bachelor's students who might be on the fence about earning a graduate degree in psychology? Be prepared to learn a little about a whole lot. Your undergraduate degree gives you a little taste of what you'll learn in graduate school and professionally. Getting a sneak peek into the patterns of human behavior is amazing and can leave you wanting more, which leads to the advice of: Be prepared to go to graduate school. Unfortunately, a bachelor's in psychology rarely opens doors into a career in mental health. If your goal is to work as a therapist or counselor, be prepared to get your master's or doctorate. But once you've got that, the doors open wide. Any additional advice you'd give to students considering a master's degree in psychology? Do your own work! Learning to be a therapist and then being a therapist stirs up all kinds of emotions that it's important to process. Going to therapy and showing all your messy bits to a stranger is tough! Being in your own therapy helps you remember how vulnerable your clients might be feeling. Also, you'll need somewhere to process your own feelings that come up in session. Spending your days with people who are struggling can be draining and self-care, which includes therapy, is vital to avoid burnout. Consider grad school and your internship your initial foray into networking. The people in your graduate school cohort, your professors, your supervisors, and fellow interns are the people you'll be referring to and, hopefully, [who will be] referring to you if you open your own practice. The impression you give off during grad school and internship will be the very beginning of your professional reputation. Present yourself as the therapist you plan to be. And, finally, don't let anyone tell you it's impossible to make a good living in private practice. If you network, keep working on yourself, and hang your shingle, the clients will come. WILL AN ONLINE MASTER'S IN PSYCHOLOGY PROGRAM PROVIDE ME WITH THE SKILLS I NEED TO ADVANCE MY CAREER? According to the APA Center on the Workforce, 52.4% of professional psychologists earned a doctoral or professional degree from 2005 to 2013. The remaining 47.6% completed their education with a master's degree. Depending on your career path, a master's degree in psychology may be sufficient for beginning your career or serve as a stepping stone toward a doctoral program. In either case, the best online master's degree in psychology programs are designed to prepare you for the next step. Earning a specialized degree can further boost your career standing in the area of psychology that interests you most. WILL AN ONLINE MASTER'S IN PSYCHOLOGY PROGRAM WORK WITH MY SCHEDULE? Online master's degree programs in psychology offer a flexible alternative to traditional classroom-based education. You'll be able to access course materials, submit written assignments, take exams, and communicate with your professor any time of day from the comfort of your home computer. The interactive technology also allows you to study on the go using a laptop, tablet, smartphone, and other portable devices. For added convenience, many programs allow students to fulfill their supervised practicum or internship requirements at facilities located close to their home. WHAT JOBS CAN I GET WITH MY MASTER'S IN PSYCHOLOGY? According to the Bureau of Labor Statistics, most states require clinical and counseling psychologists to earn a doctorate, complete an internship, and log one to two years of supervised professional experience before they can pursue licensure. However, a master's degree will be sufficient for industrial-organizational psychologists. Master's-holders in psychology may also find work as assistants for licensed psychologists in clinical, counseling, or research settings. Others graduates pursue careers in counseling, where most professionals are able to obtain licensure with a master's degree. Earning a bachelor's degree is an important first step towards entry or advancement in many fields, but a master's in psychology is a minimum requirement for most positions in the field. While most schools offer a general graduate curriculum, specific coursework and requirements vary depending on the history and mission of the program you choose. The information in this section will give you an idea of what you can expect from an online master's in psychology degree. Earning a degree in psychology opens graduates to an array of career opportunities beyond a private counseling practice. The critical engagement and therapeutic tactics of psychology can benefit employees and organizations such as hospitals, businesses, and schools. Psychologists rely on communication and observational skills to problem-solve situations with individual clients or small focus groups. They also work one-on-one with disabled or aging clients as a home care aide, enter the educational system as a youth counselor, or pursue an academic career as a clinical research coordinator and analyst. Various degree specializations can also prepare graduates for these specific professions. The list below details some of the more common specializations for psychology master's programs online, from research-oriented positions to educational careers. Forensic psychologists apply clinical analytical skills to legal and investigative cases. Working as crime analysts or court liaisons, they translate assessment, evaluation, and treatment skills into evidence. These professionals also focus on cognitive and social psychology to comprehend the motives behind criminal actions. As the foundation for mental and behavioral healthcare, clinical psychology uses advanced theoretical knowledge and analysis to diagnose and treat individuals and groups. Students in this specialty explore patient consultation and research analysis, as well as the tenets of private practice and patient confidentiality. Graduates are prepared for careers in clinical case management, medical psychology, or as a psychology professor. Psychologists in this field focus on children, youth, and families. They work in school settings, and meet with students and families to address social issues or emerging mental imbalances. These professionals also promote healthy lifestyle choices through preventative programs, and assist children as they transition into young adulthood. Students in this specialization study the emotional, social, work, and family stressors affecting modern American communities. They gain skills in crisis intervention, clinical supervision, and treatment analysis. Additional training may be available in substance abuse or geriatric counseling. Coursework in this specialization explores the ways people gain knowledge in order to better understand their mental and social development. Students also explore educational retention by examining the variety of settings and contexts in which people learn. Graduates may work as a learning disability counselor or consultant, or as a K-12 school counselor. Lifespan Development: This course provides students with an advanced look at human development from conception through death, with emphasis on biology, social/emotional, and cognitive changes as they relate to counseling and other applied practices. While this topic deals with all branches of psychology, this course is particularly relevant for students who want to work as clinical psychologist or other positions of personal counseling. Gerontology (or the Psychology of Aging): The course is designed for students who want to work with aged populations as nursing home psychologists or professional caretakers. Coursework provides an overview of the social and emotional changes that happen to an individual later in life, including intellectual functioning and mental illness. The course also explores ways to assist the elderly through professional treatment and agency referrals or placement. Human Neuropsychology: This course explores the causes, consequences, and treatment of brain disorders and diseases and prepares students for a wide variety of careers, including substance abuse counselor or forensic psychologist. Students also learn about the functions of the brain in normal human functioning and exceptional conditions such as brain damage and neuropsychological syndromes in order to help them properly help diagnose and treat these conditions. How Long Does it Take to Get an Online Master's in Psychology? The average master's in psychology online program has a curriculum of 30 to 36 credit hours. Students can earn their degree in two years or less with full-time enrollment, though many schools will allow up to five years for those who want to enroll part-time. Those who want to pursue a more scientific track may find that their program requires campus visits, usually scheduled during summer sessions far in advance to accommodate work schedules and other obligations. Many online master's programs also require a capstone project or thesis work, and depending on what a student chooses to accomplish, this may add some time to degree completion. Some online psychology programs structure their classes based on a cohort model, where students progress through the coursework with the same group of peers in order to build a community of professional relationships. However, most online courses are offered asynchronously, allowing students to complete coursework at their own pace. When researching online programs, it is good to ask yourself which model, or combination of models, will work best with your own learning process. Licensed Professional Counselor (LPC) : Many graduates choose to pursue an LPC title in order to work as a licensed counselor at their own practice or another site, like a mental health facility, a university campus, or a psychiatric hospital. The LPC is granted at the state level and each state has its own set of requirements, such as a certain number of practicum or experience hours. Teaching of Psychology Certificate: Earning the TPC is a good way for those who want to pursue a career as a college instructor to boost their overall job prospects. Offered through certain university departments, the TPC is a post-baccalaureate program that gives graduates the chance to learn fundamental teaching skills as well as specific practices related to the field of psychology. Licensed Clinical Social Worker (LCSW): Required for all clinical social work, this state license guarantees the quality of therapeutic analysis. Social work can cover issues in mental health, substance abuse, public health, marriage counseling, or family therapy. This license typically requires two years -- or about 3,000 supervised clinical hours -- and LMSW licensure to qualify for the exam (see below). Licensed Marriage and Family Therapist (LMFT): Another state license, the LMFT typically follows standards set by the American Association of Marriage and Family Therapy. To sit for the exam, most states require an accredited professional degree and two years of monitored clinical experience. Students can meet their clinical requirements and gain real-world experience through nonprofits, charitable organizations, or mental health clinics. Licensed Mental Health Counselor (LMHC): The LMHC also requires clinical experience prior to licensing; however, the amount of training varies by state, with clinical experience ranging from between one year to 3,000 supervised hours. Most states require a degree from a school program accredited by the Council for Accreditation of Counseling and Related Educational Programs. Licensed Master Social Worker (LMSW): The LMSW is the foundation for LCSW certification, and qualifies you to work as a social worker under direct supervision of an LCSW. To be eligible for this license, you must pass the Association of Social Work Boards exam, which costs $230. Once you decide to return to school for a master's degree in psychology online, it is important to review program admission requirements. Though submission materials vary by school, most institutions require similar information about your background and professional aspirations. All schools require proof of a bachelor's degree from an accredited institution, though applicants without a degree in a related field may be required to complete prerequisites prior to enrolling in the master's program. This can include coursework in abnormal psychology, statistics, or an introduction to research methods. The GRE is another popular requirement. The exam's subject test in psychology focuses on subspecialties such as biological, cognitive, developmental, and clinical psychology to demonstrate a student's aptitude for specific areas. Some schools accept strong GRE subject test scores instead of an undergraduate degree in a related field. In addition to the GRE, applicants can demonstrate their dedication to the field through local volunteer and internship positions. When searching for an online master's in psychology program, you should look for national, regional, and field-specific official recognition. National accreditation is the standard and is conferred by the U.S. Department of Education (DOE) or the Council for Higher Education Accreditation (CHEA). Nonprofit schools are unable to operate without this designation. Regional accreditation is granted by seven national organizations and is more important because it denotes that the college or university meets the specific standards of the state where it operates. Most employers look for regional accreditation when hiring candidates. The DOE and CHEA oversee national accreditation of colleges and universities in the United States. The DOE is a government institution that works to create and enforce a cohesive set of educational standards, while the CHEA is a non-governmental organization that works towards similar goals. Since the DOE and CHEA works towards similar goals, it is rare to find a school that is accredited by one and not the other. The USDE and CHEA are also responsible for maintaining the credibility of organizations of regional accreditation. To see what colleges and universities have the DOE and CHEA's stamp of approval, visit their websites. There are also industry-specific organizations that establish and maintain standards and offer accreditation. Those pursuing a master's in psychology online should be aware that the American Psychological Association (APA) only gives out its stamp of approval to doctorate programs. Another organization to look for is the Master's in Psychology and Counseling Accreditation Council (MPCAC). Although the organization is relatively new, some of the best psychology master's degrees online operate under its direction. Graduates of a master's in psychology degree program are well prepared for a rewarding career. Job availability will largely depend on the kind of degree one earns, as well as the degree specialization. Some of the most common career paths for licensed degree-holding psychologists can be found below. Clinical Psychologist: Clinical psychologists observe, diagnose, and treat patients suffering from a range of emotional and mental health disorders, including anxiety, depression, behavioral disorders, and addictions. They often work alongside other psychologists and medical professionals to discuss patient history and determine how to best administer therapy. Neuropsychologist: Neuropsychologists study the way that mental health disorders, emotions, social interactions, and other factors affect brain activity. They often work with patients who have suffered a traumatic brain injury, or are experiencing mental decline due to factors like age or developmental disability. School Psychologist: Found at all academic levels, school psychologists work with students who are living with mental health disorders or interpersonal problems. They often conduct tests on their patients, and may meet with parents, teachers, and other individuals who are invested in their clients' welfare. Forensic Psychologist: Forensic psychologists apply their training to areas of criminal justice, such as crime scene investigations or legal proceedings. They study evidence to determine criminal motives, evaluate accused criminals and defendants for mental acuity, and often have the final say as to whether or not a person is fit to stand trial. Marriage and Family Therapist: These therapists engage with families coping with difficult issues. Marriage and family therapists encourage communication in a neutral zone, and help family members process personal or professional losses, resentments, or difficult life changes. They also encourage families to find ways to express their feelings and cope with challenging situations. Substance Abuse Counselor: Counselors monitor and evaluate patients struggling with substance abuse and addiction. They develop treatment plans and build development goals collaboratively with patients and their families. These professionals may also create outreach programs to help multiple members of the community. Industrial-Organizational Psychologist: Organizational psychologists apply analysis and therapeutic concepts to companies and organizations. They promote workplace productivity and mental wellness through one-on-one consultations, group workshops, and workplace initiatives. They also act as confidants for workers in stressful environments and advocate for positive communities. Graduating from an online master's in psychology program and passing state licensure exams does not mark the end of your education. To maintain licensure, you must pursue continuing education opportunities throughout your career. The objective of this additional training is to keep professionals up-to-date on the latest innovations in the field, as well as updates to analysis and treatment. Though continuing education requirements vary by state and subfield, all psychologists should aim to complete between 20-60 continuing education credits every two years. Various professional associations, such as the APA, provide ongoing education opportunities through online courses, intensive workshops, and professional conferences. An I-O psychologist, for example, may take ongoing educational courses on stress and coping or human motivation, while an educational psychologist could pursue cognitive neuroscience and the latest research on early childhood development. Although a bachelor's degree in psychology will lay the groundwork for a successful career, jobs are limited for candidates who complete their education with an undergraduate psychology program. Bachelor's-holders may qualify for roles as case managers, technicians, career counselors, and other non-clinical titles. Interestingly, only 25% of individuals with a bachelor's in psychology go on to pursue careers in this field. Pursuing a career in psychology can be deeply rewarding, but also very lucrative. As the table below illustrates, psychologists experience progressively higher wages throughout their career, whether in counseling, therapy, or clinical psychology. Generally speaking, professions that focus on research and scientific study -- including clinical, neurological, and forensic psychology -- earn more across the span of one's career than those dedicated to community outreach, such as school psychology or substance abuse treatment. Note that these median annual wages are profession-wide averages; actual salary will vary by state and professional setting. Where Do Master's in Psychology Graduates Work? Graduates of an online master's in psychology degree can be found in a variety of work environments. For example, childhood and young-adult psychologists work in elementary and secondary schools, child welfare offices, substance abuse clinics, and hospitals. Educational psychologists work as therapists and educators in secondary and post-secondary schools to encourage mental wellness and train future psychologists and therapists. In fact, the BLS indicates school psychologists are in particular demand in the northern central and southeastern United States. By contrast, industrial occupational psychologists work within companies or institutions to promote adult wellness. They act as office practitioners, human resources representatives, and upper-level management. The BLS ranks California as a state in particular need of more I-O psychologists. Similarly, geriatric psychologists and therapists are needed in out-patient clinics, hospitals, home healthcare providers, and retirement communities. Psychologists may additionally act as a liaison for healthcare companies and programs to design and troubleshoot healthcare initiatives, and decrease stigmas against healthy healthcare management. The following tables detail industries with strong employment opportunities and commensurate salaries for online master's in psychology degree holders. Making professional connections and learning about different psychological approaches is crucial to your career success. Professional organizations offer a great entry point for students who want to learn more about their chosen career path. Below you'll find three of the most prominent organizations established for professional psychologists. These organizations host networking events, provide online trainings, maintain active job boards, and offer other services for career-ready college graduates. Resources like these often prove invaluable as you complete your degree requirements and prepare to enter the job market. American Association for Marriage and Family Therapy: The AAMFT maintains chapters across the United States and Canada, and provides a directory of state licensing boards. This association brings together clinical and psychiatric professionals and students, and provides job search engines and ongoing education venues to maintain excellence across the field of marriage and family therapy. National Association of School Psychologists: A major center for psychologists, NASP gathers professionals and graduate students to increase awareness of contemporary issues in school psychology, and connect established career professionals with new generations. The international community base encourages cross-cultural awareness and outreach. Society of Neuroscience: Relevant for psychologists in clinical and therapeutic fields alike, the Society of Neuroscience promotes understanding of complex neural connections and their greater role in human behavior and cognition. The organization offers access to the society's journal, JNeurosci, an annual meeting, and community education and awareness programs.